I know I am a bit late to the party, but at least I made it. May has been designated Finger Lakes Wine Month and is promoted as such by the Finger Lakes Wine Alliance, a winemaker organization in the New York Finger Lakes region. The Alliance is hosting a lot of different events, from tastings in wineries and restaurants to video interviews with winemakers and virtual tastings held on Twitter. I had my first Finger Lakes wine ever (sic!) in late April. I was not very familiar with the region, just had heard that as a Riesling drinker (some might say ‘nut’) I should look into this wine region. It can be tricky to find its wines in Michigan, though, where Rieslings from Traverse City and the Leelanau Peninsula dominate wine racks. So I took my chances when a friend from Buffalo, NY was visiting us for a weekend and asked whether he could bring some wines to try – and he did. I still have not opened these wines for various reasons, but we went out the first night of his visit to a local wine bar and when I checked the wine list, I saw a Dr. Konstantin Frank Riesling on it. I immediately ordered it because I had heard the winery name before. I liked the wine quite a bit, red apple flavors were dominating the palate. Nothing exceptional, but a good and tasty wine…it definitely made me want to try more Rieslings from the area. But what is that area anyway? The Finger Lakes region became an officially recognized American Viticultural Area (AVA) in 1982 and consists of approximately 4,451 hectares (11,000 acres) that are operated by around 100 wineries. The main glacial lakes that make up the area are Canandaigua Lake, Keuka Lake, Seneca Lake and Cayuga Lake. These (and other lakes) stretch from North to South just South of Lake Ontario which explains their name: Finger Lakes. Apparently, the first vines were planted in 1829. The Finger Lakes really seem to have taken off when the above mentioned Dr. Konstantin Frank (a Ukrainian immigrant with a PhD in plant science) started experimenting with roots and grapes varieties there for Cornell University in the 1950s and 60s. His work proved to be the first that enabled wine makers in the North Eastern United States to grow European grape varieties, in a climate and area that had been deemed off limits for these grapes. I am looking forward to participating in the Finger Lakes Wine Month virtual tasting on May 25, 2013 which will be held on Twitter (#Flxwine) and Facebook between 6pm and 10pm. This will be my first virtual tasting and I am really excited to be a part of it. I’ll write up my experience in another post. Or better yet: Come join if you are on Twitter. Great post, Oliver: I have been looking at the Finger Lakes region with interest myself, but have not tried wines from that area yet. I therefore appreciate the information that you compiled about the AVA and am very much looking forward to reading about your virtual wine tasting experience! Love that wine region and spend a lot of time in Canandaigua. Great people to go with great wine! :) Interested to read what you’ll have to say. Thanks! I really want to visit the region now that I have looked into it a bit more…should definitely be exciting. I’ll probably tap into your knowledge when I decide to go! Of course! I’ll be happy to help anytime. I have 2 bottles of Riesling left from the Riesling tasting we did a couple of weeks ago so I will see you online Saturday! Awesome! Which ones? I have a 2011 Swedish Hills Dry Riesling…maybe we can compare notes! I have Swedish Hill!!! will definitely have to compare notes. 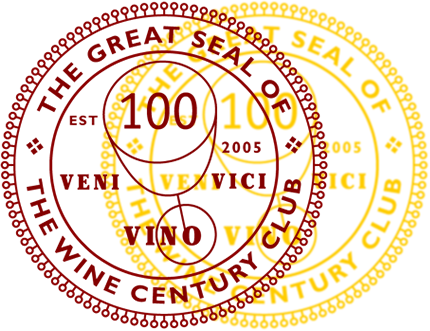 Be sure to mention on your blog posts about any of these wines that they are media samples – it is an FCC requirement. Oh yes, absolutely. Was planning on doing that anyway, but good to know it is a requirement! Looking forward to the virtual event! Thanks for sharing your thoughts. Will have to look into them later today! !